NOTE: SANITARY MAINTENANCE PUMPS are only for use in commercial NON-FARM NON-DAIRY environments where personal protective equipment is required and OSHA (Occupational Safety and Health Act) regulations are enforced by management. For Detergents, Waxes, Alkalis and Water. to accommodate most drums, carboys and 5 gallon pails. MP0602M 6" 2" 70 mm 12"
MP1209 12" 9" None 18"
MP1209C 12" 9" Rieke Sr 18"
MP1209F 12" 9" 63 mm 1f"
MP1209M 12" 9" 70 mm 18"
MP1209R06 12" 9" Rieke Jr 6"
MP1209S 12" 9" Std 2" IPS 18"
MP1818E 18" 18" European 18"
MP1818S 18" 18" Std 2" IPS 18"
A no-drip alternative to the hose outlet is available on all MP series pumps. 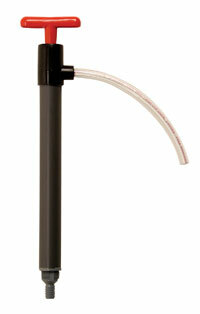 In addition to the no -drip feature, the spout also eliminates waiting for the hose to drain. 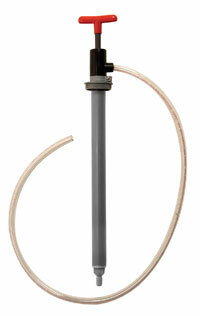 MP12SPF 12" 63 mm 18"
MP12SPS 12" Std 2" IPS 18"
MP18SPS 18" Std 2" IPS 18"
All MP pumps are available as siphon pumps. The siphon pumps function as lift pumps, but will siphon with the handle fully extended and as long as the SOURCE is HIGHER in elevation than the receptacle. 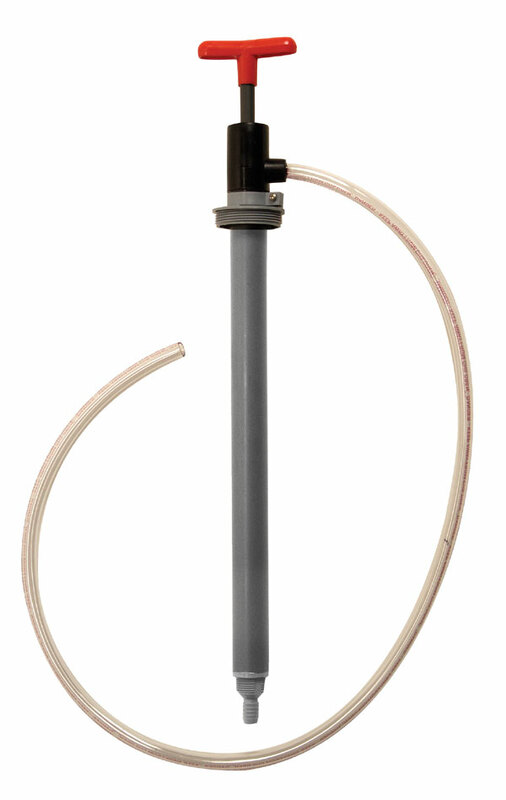 All siphon pumps come standard with a 48” discharge hose, and adapters are available to attach to most drums, carboys and 5 gallon pails. D-Limonene is rapidly replacing solvents as the cleaner of choice in the Sanitary Maintenance industry. The Beckson D-Limonene pump has been independently tested using a technical grade of 95% pure D-Limonene for 60 days and 6,000 strokes at room temperature. DL1818S 18" 18" Hose Std 2" IPS 8 oz. DL3630S 36" 30" Hose Std 2" IPS 11 oz. DL18SPS 18" Spout Std 2" IPS 8 oz. DL36SPS 36" Spout Std 2" IPS 11 oz.